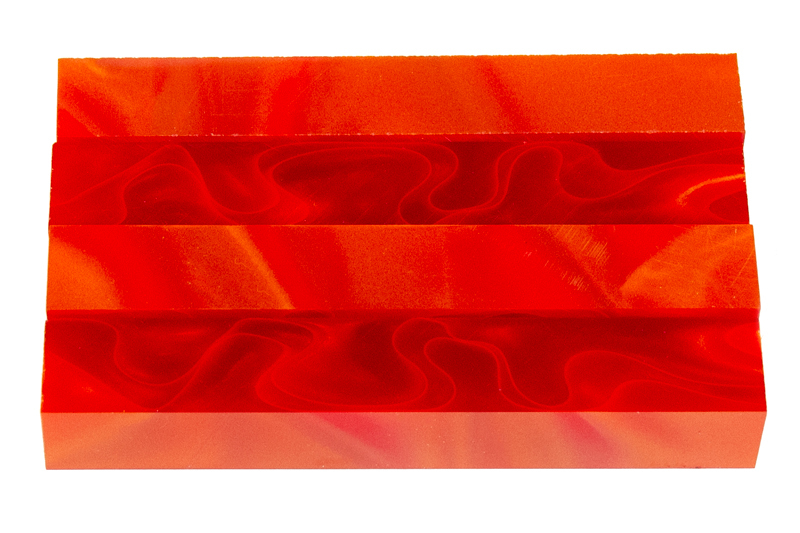 Description: A firey (or fiery) inferno is barely contained in this explosive blank. Starting April 2019 this blank changed to "Batch 2". 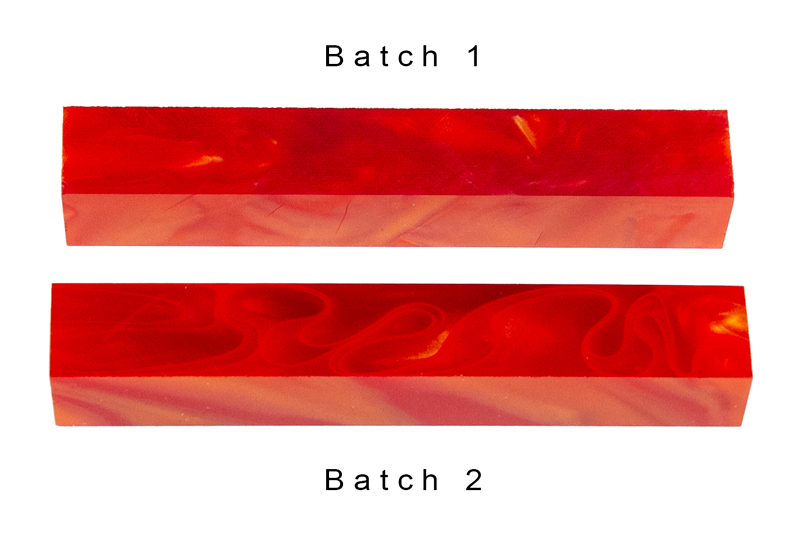 The batch 2 blanks have a red ribbon running through them instead of the clear ribbon of the previous batch.